After faltering against Eintracht Frankfurt and then Napoli, RB Leipzig vs Köln was an opportunity for the home side to answer their critics as die Roten Bullen looked to bounce back up the Bundesliga table. Meanwhile, Köln adrift at the bottom of the league just need something – anything – to give die Geißböcke hope. Leipzig falter again after taking an early lead. Köln now eight points from safety. Augustin’s opener cancelled out by two second half Köln goals. When you are rock bottom of the league, looking for inspiration, the last thing you would wish for is to leak an early goal. However, this is precisely what the Billy Goats achieved at Leipzig. 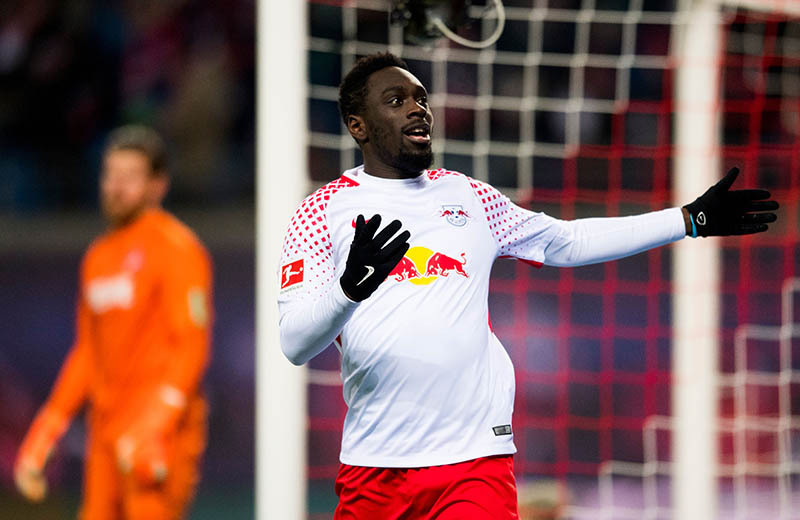 The clock inside the Red Bull Arena had just turned over to five minutes when Jean-Kévin Augustin tapped the ball into an empty net. Köln had been tormented by RB Leipzig’s Bruma for the opening part of the game, the Portuguese attacker danced past the Billy Goat’s left side as if it wasn’t there, delivering a sumptuous cross into the box. It was Everton loanee Ademola Lookman who got to the ball first – the Englishman could only find the post, but the rebound fell kindly to Augustin and the early deadlock was broken. Köln to their credit remained calm, and moments after going behind they asked questions of the Leipzig backline, Péter Gulácsi bailing his defence out with a wonderful reactionary save from Simon Terodde’s close range header. It was a warning of their visitor’s ability which would come back to haunt Leipzig in the second half. As the half-time whistle approached Leipzig should have been out of sight – first Sabitzer was guilty of pulling his shot wide of Timo Horn’s left-hand post, when to score looked the easier option. This was soon to be followed by Emile Forsberg – Lookman drove at speed towards the Köln box, after a flurry of step overs the 20-year-old dropped his shoulder and played in Augustin who immediately laid the ball to Forsberg, with the goal at his mercy the Swede became the second player to drag his shot wide of the target. The visitors found the Leipzig net on 42 minutes but Jorge Meré was correctly adjudged to be offside, it seemed to breathe life into the visitors and for the final three minutes of the half they desperately searched for an equaliser. It’s an old football cliché, probably one of the oldest but for the second 45 minutes of this fixture it was the only analogy that fitted the occasion – ‘It’s a funny old game’, no – not that one, football can be a ‘game of two halves’ and this fixture was to be just that. Should Köln have any ambitions to avoid what looks to be almost certain relegation then die Geißböcke should play each game as if it was this second half. Taking to the pitch after half-time the side in black shirts, balck shorts and luminous yellow socks looked a completely different prospect than the one that started this fixture. January signing Simon Terodde was one of the first to step up and be counted, his left footed shot from the centre of the box on 56 minutes was swiftly followed by an almost carbon copy chance moments later following a Köln corner. The balance of power within the fixture was beginning to shift. Leonardo Bittencourt was the next player to go close for the visitors before – on his first start for the Billy Goats – Vincent Koziello hit the net. With a wonderful strike from the edge of the area the French midfielder pulled the score level, his shot was just too powerful for Gulasci in the Leipzig goal to do anything about – his fingertips no match for the power unleashed by Koziello. 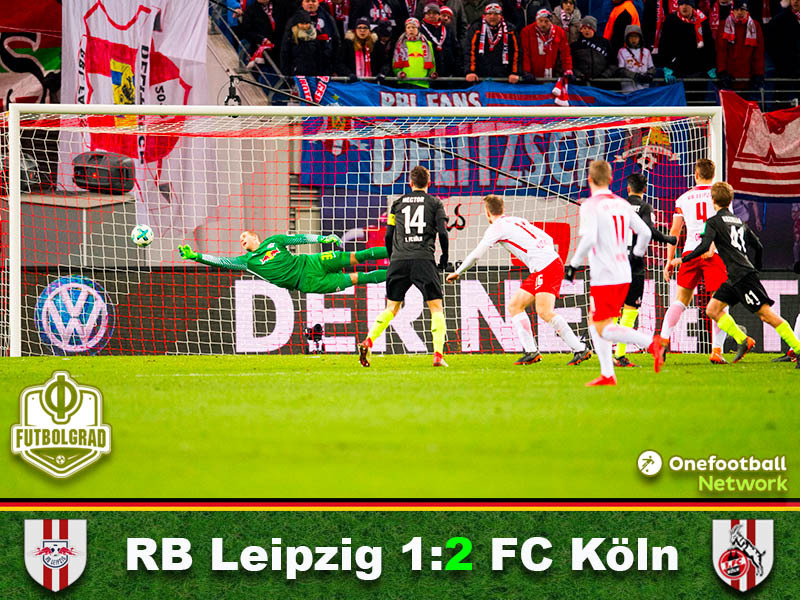 Leipzig froze – and it was about to get worse for the Saxony side – seven minutes later and the Köln comeback was complete, Bittencourt, who had already gone close made no mistake this time. Finding the bottom left corner with his right footed shot he sent the traveling Effzeh into a state of delirium. Willi Orban tried to drag his side level, but it was not to be, Köln had finally, once again tasted Bundesliga victory after going behind – losing 13 of their pervious 14 matches once they had leaked the first goal this turn around in Leipzig was one to be celebrated. The victory still leaves die Geißböcke eight points from safety, but it did show that this set of players will not go down to 2.Bundesliga without a fight. 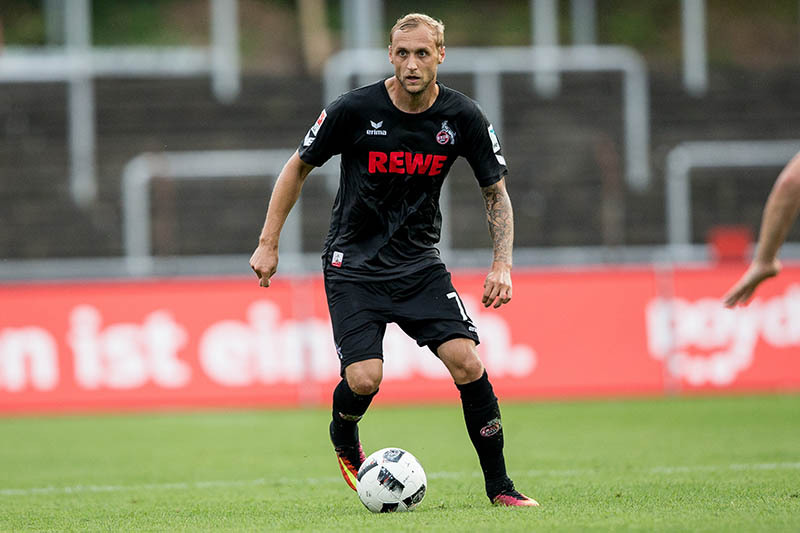 The German midfielder recovered from a less than inspiring start to dominate Köln’s right side. Initially bullied by Lookman, the 28-year-old recovered to put in a man of the match performance. His dangerous breaks down the flank, and link up play with those around him, eventually paid dividends. Providing the assist to Bittencourt, thus completing Köln’s smash and grab at Leipzig – the perfect end to his day. Folding against Eintracht Frankfurt last Monday after taking the lead, this second loss in succession leaves RB Leipzig sixth in the table. Once again Leipzig’s domestic form has been hampered by their European exploits midweek. A situation die Roten Bullen must rectify if they have ambitions of becoming one of the Bundesliga’s elite. Köln’s victory puts them level on points with Hamburg. Leipzig have now lost their last three matches in all competitions. Die Roten Bullen slip out of the Bundesliga’s automatic Champions League qualification places.